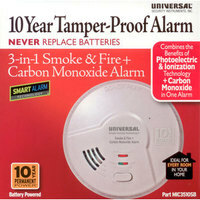 Many states and localities have current or coming laws and regulations requiring the use of Carbon Monoxide detectors and 10 year sealed battery smoke alarms including California, Florida, Georgia, Indiana, Louisiana, Maryland, New York City, North Carolina, Oregon, and Wisconsin. Please check your local legislation for requirements. 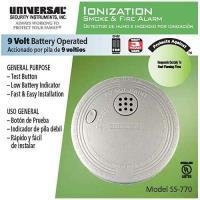 Universal Security Instruments Battery-Operated Ionization Smoke and Fire Alarm$5.95The Universal Security Instruments SS-770-24CC Battery-Operated Ionization Smoke and Fire Alarm responds quickly to fast-flaming fires to protect your family against deadly threats in the home. 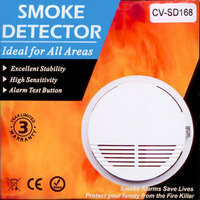 10 Year Battery Powered 2‐in‐1 Smart Smoke + Fire Alarm$14.50The MI3050SB 2-in-1 Smoke and Fire Smart Alarm is able to detect both slow smoldering and fast flaming fires with photoelectric and ionization technology. Comes with 10yr sealed battery. Perfect for Fannie Mae properties. As Low As $14.50 each! 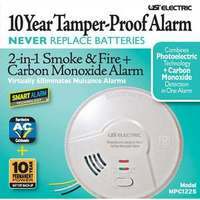 10 Year Battery Powered Combination 3-in-1 Smart Smoke + Fire + Carbon Monoxide Smart Alarm$39.95The MIC3510SB 3-in-1 alarm protects against both fast flaming and slow smoldering fires with photoelectric and ionization technology PLUS it detects carbon monoxide—the silent killer. As Low As $39.95 each! 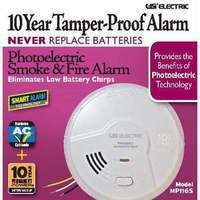 10 Year Battery Powered Photoelectric Smart Smoke/Fire Alarm$20.75The MP316SB is a maintenance-free, photoelectric alarm that is suitable for houses, apartments and mobile homes in every room, perfect for new or existing installations. As Low as 20.75 each! 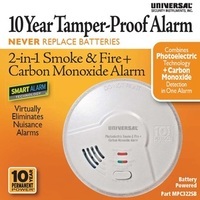 10 Year 2-in-1 Battery Powered Photoelectric Smart Smoke/Fire + Carbon Monoxide Alarm$47.75The MPC322SB battery powered 2-in-1 alarm protects against smoke/fire with photoelectric technology PLUS it detects Carbon Monoxide - the silent killer As low as $47.75! 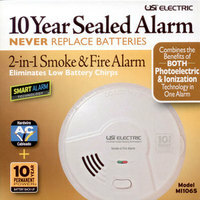 Hardwired 2‐in‐1 Smart Smoke + Fire Alarm$19.25The MI106S hardwired 2-in-1 alarm protects against both fast flaming and slow smoldering fires with photoelectric and ionization technology. 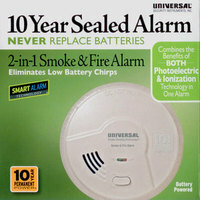 Includes 10yr backup battery. As low as $19.25 each! 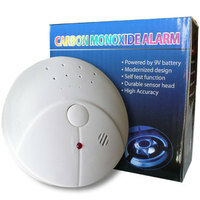 Hardwired Combination 3-in- 1 Smart Smoke + Fire + Carbon Monoxide Smart Alarm$44.99The MIC1509S hardwired 3-in- 1 alarm protects against both fast flaming and slow smoldering fires with photoelectric and ionization technology PLUS it detects carbon monoxide—the silent killer. Includes 10yr backup battery. As low as 44.99 each! 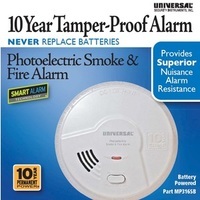 Hardwired Photoelectric Smart Smoke/Fire Alarm$26.75The MP116S is a maintenance-free, hardwired photoelectric alarm that is suitable for houses, apartments and mobile homes in every room, perfect for new or existing installations. 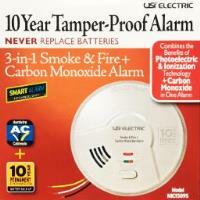 Includes 10yr backup battery. As low as $26.75! 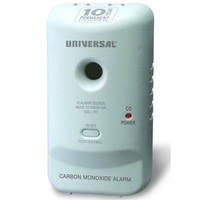 Hardwired Combination 2-in-1 Photoelectric Smoke/Fire + Carbon Monoxide Alarm$49.75The MPC122S hardwired 2-in-1 alarm protects against smoke/fire with photoelectric technology PLUS it detects Carbon Monoxide - the silent killer. Includes 10yr backup battery. As low as $49.75!